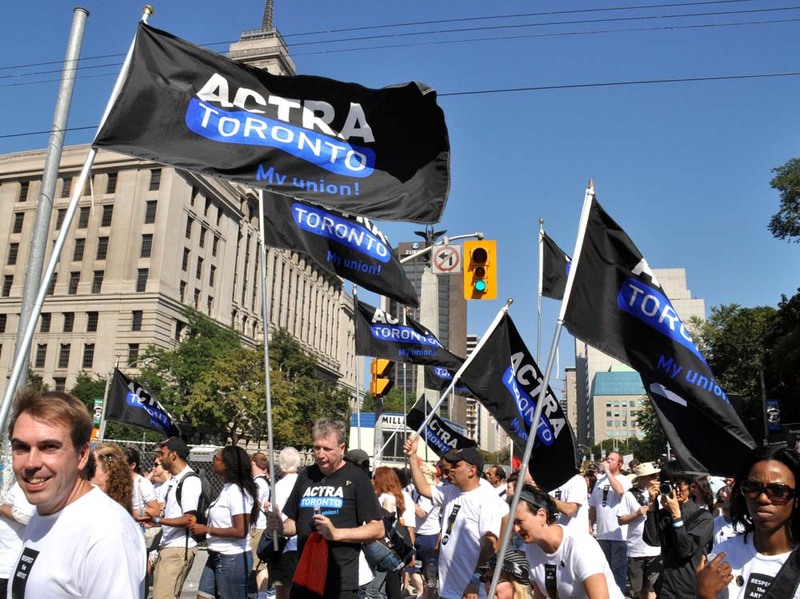 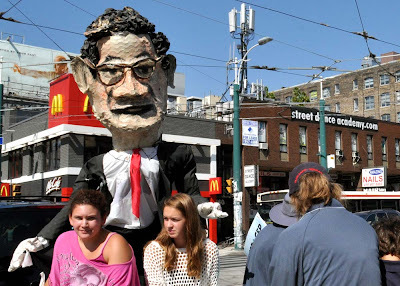 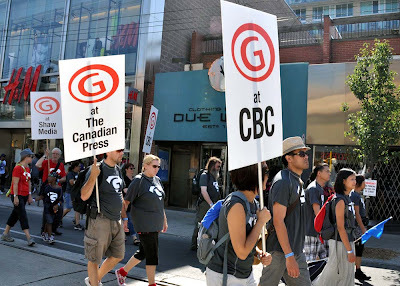 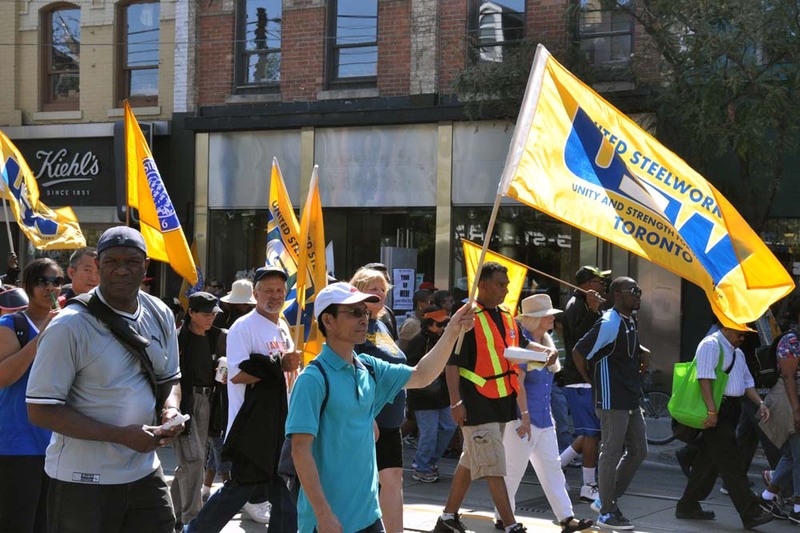 Union members walked from University Boulevard, across Queen and down Dufferin Street for the annual Labour Day Parade which ends at the Canadian National Exhibition. The parade came with few floats but plenty of flags as thousands made the journey on Monday September 3, 2012. 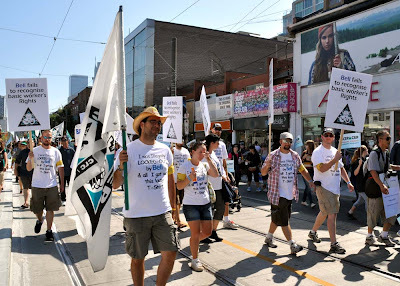 Participants get free entrance into the CNE which is also a good reason to attend. See more of the march after the jump.